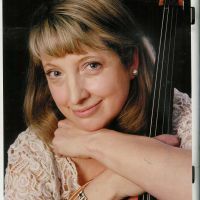 Additional Info: Alice McVeigh's cello teachers include William Pleeth (three years of weekly tuition--in other words, not just a masterclass! ), as well as her former teachers (Fritz Magg and Gary Hoffman) who helped her achieve her B.Mus. with distinction in performance at Indiana University (now Jacobs Indiana University) School of Music. She has also performed (in masterclass format) for Yo Yo Ma. In over 20 years of freelancing in London, she has performed on four continents with orchestras including the BBC Symphony Orchestra, the Royal Philharmonic Orchestra and Sir John Eliot Gardiner's Orchestre Revolutionnaire et Romantique. She has also performed with string quartet in the Wigmore Hall and the Purcell Room, and has performed concertos including the Dvorak, Elgar, Bloch (Schelomo), Saint-Saens and Tchaikovsky (Rococo Variations), with orchestras in America, southeast London, Sussex, Suffolk and Hampshire. She specialises in teaching adults, as well as baroque and classical performance, and only teaches from home. Her cello pupils have won numerous local competitions, as well as degrees from the RCM and RAM, and places in the National Children's Orchestra.